Kenya’s leading newspaper is the Daily Nation. It’s part of a larger arm of Nation Media Group Limited — which was founded by His Highness the Aga Khan in 1959 and traded on the Nairobi Stock exchange since the 1970s – including Mwanachi Communications, Nation Digital, and Nation Broadcasting. Daily Nation is the most influential newspaper in Kenya with a daily circulation of about 205,000 copies. Based on the number of readers, it is East Africa’s largest newspaper no wonder most East Africans will always tip it as one of their favourite Kenyan Newspapers. Standard Media is a part of the Standard Group, which is the multi-media house leader in Kenya which performs many media-related functions such as the distribution of magazines like National Geographic and the Harvard Business Reviews. Standard Digital focuses first on the top stories and general news in Kenya, but also offers content for a global audience in the genres of lifestyle, entertainment, sports, opinion, and politics. As the name implies, All Africa does not only focus on Kenya but the entirety of Africa itself. It is an online aggregation of newspapers and its mission is to be “the voice of Africa”. 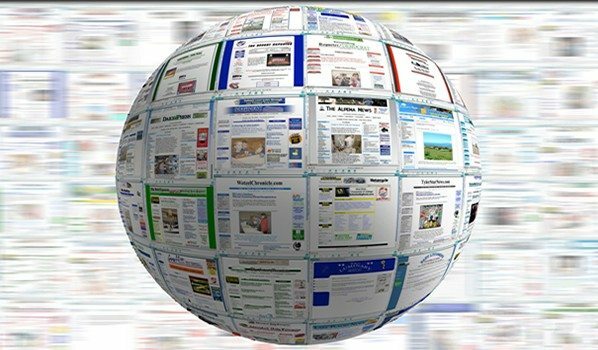 The online news organization has an easily navigable site, with the user only needing to simply enter their region such as Kenya after the website name in order to access local news. This website is essentially an aggregator that aggregates news produced primarily on the African continent about all areas of African life, politics, issues, and culture. It is available in both English and French and produced by AllAfrica Global Media, which has offices in Cape Town, Dakar, Lagos, Monrovia, Nairobi, and Washington, D.C.
Capital FM is a network of websites providing different genres of current news in Africa, with a page of Capital News devoted entirely to Kenya news. Other areas of Capital News include Focus on China, County News, and Africa News as well as World News. The Star’s strong online presence reflects its place in the industry as the third largest newspaper in Kenya, grown from modest beginnings as a tabloid distributed in Nairobi. Because of these roots, this online source of current news is popular as a place to obtain extremely interesting human interest stories, while more modern aims for The Star include political and general news information as well. In 2008 the paper switched to a more political general news format while retaining its original strong focus on society stories, English premier league sport, and inside political information. In 2008 the paper acquired its own printing press that gave it the capacity to cover late-breaking stories that it previously lacked. It majorly owned by the Radio Africa Group, who also operate Kiss FM and Classic FM, urban Kenya’s most popular radio stations, as well as Kiss TV, Radio Jambo, XFM and East FM. Unlike other privately owned and state-run sources for new concerning Kenya, Kenya Today is independent, manned by Nairobi and Rotterdam staff. Kenya Today is constantly updated by a dedicated staff in Rotterdam (Netherlands) and Nairobi. Kenya Today relies heavily on a team of guest authors and it’s Facebook community. Next to Al Jazeera, the Huffington Post is a premier news organization around the world, recently acquired by AOL, which also dedicates an entire page of its content to Kenya. Al Jazeera is one of the better known and larger online sources of news regarding Kenya, along with the Huffington Post. When visiting the main Al Jazeera homepage, users can select their desired area from around the world, including Kenya. On the Kenya Al Jazeera page, news stories are chronologically ranked ten per page for easy viewing. Though based in America and advertised as “America’s world news site” Global Post provides substantial regional coverage around the world, including a section of their website devoted to Africa in general and Kenya in particular. The Global Post is a relatively new online news source, founded in 2009 by Philip S. Balboni and Charles M. Sennott. These are the top 16 Kenyan Newspapers where you will readily find details on happenings in and around our beloved Kenya.